built to last (silicone is bendable and flexible and doesn't fade, corrode or deteriorate). big, wide pocket catches food, does not spill, and actually stays open! Shenzhen Royal Silicone Product Co., Ltd.
if need emboss or deboss logo, it will need new mold. the account information of this way is as below which will be showed on the trade assurance order. Shenzhen Waowei Technology Co., Ltd.
, Ltd with more than 5 years' experience in the field of silicone and plastic products. We can print your brand names or logos both on the products and package . Can help print amazon shipping labels then stick on each carton. or as per your pantong number packaging regular opp bags, oem packaging is available. Ningbo Beilun Zhichang Arts & Crafts Co., Ltd.
Shenzhen Baitejia Trading Co., Ltd.
Ruian Leleyu Baby Products Co., Ltd.
2:Could I get samples9 Yes,we have materials in stock to help you to get the samples as soon as we can. 3:How about the quality of our products9 We have the certification of ISO,CE and ROSH, we can send the certificate copy for your reference. 4:Could I visit your factory9 Yes, you are welcome to visit our factory. BPA free silicone bandana bibs waterproof silicone baby bib with catcher,Comfortable Soft Baby Bibs Keep Stains Off Spend Less Time Cleaning after Meals with Babies or Toddlers&#65307; Our advantage: silicone bandana bibs waterproof silicone baby bib with catcher *We has been verified onsite by world-leading inspection company-SGS, 100% food grade silicone material; *We're assessed & gold supplier on Alibaba for over 8 years, accept Trade Assurance payment; * We are original manufacturer with our own factory, existing mold& current stocks, offer competitive EXW price& high quality; * We accpet OEM/OEM design, customized brand logos both on the products and package; * We have rich experience on FBA Amazon shipment , which can be directly ship to Amazon warehouse both by Air and by Sea, door to door, can help pre-paid tax and duties . 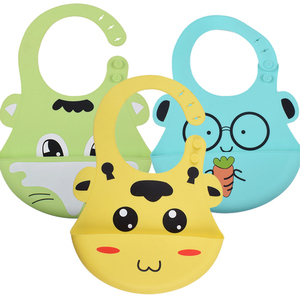 BPA free silicone bandana bibs waterproof silicone baby bib with catcher Moreover, our company has several senior engineers and masters of engineering to guarantee the reliable quality and timely delivery of our products. We have introduced many sets of advanced equipment, assistant equipment and testing equipment, including large-scale shaping tables controlled by computer, screen printing production lines, fully automatic baking equipment, press power testers, automatic press power distance testers with computer, and Comero. Xiamen Dawoo Industry And Trade Co., Ltd.
Dongguan Win Win Tech. Ltd. If you want to know the detail information about the certification, Please click on the right picture . If you are very urgent to get the price, please call us or tell us in your email so that we will regard your inquiry priority. 2. Can you do private label and customized package9 --- We can do private label then stick on each package. Henan Friday Mother And Baby Product Co., Ltd.
Shenzhen Jinweixin Silicone Technology Co., Ltd.
2. Suggest choose shipment by sea cargo or by air cargo for mass production our factory heng Jie (Dongguan) Silicone Rubber Product Factory is a professional enterprise engaged in developing & producing silicone products. We also have strict control plan and quality control system and special customer service to meet our customer's request,so the products we make are very cost-effective and quality guarantee. Q: How much does it cost to ship to my country9 A: The freight depends on your quantity and your destinaton, We will help to calculate the exactly freight when you decided your order. Yiwu Yuma Trade Co., Ltd.
all products can pass the fda food grade authoritative tests by sgs, and also can reach lfgb or dgccrf standards if customer requests. we provide all services beginning from creating designs, then manufacturing, sales and after-sales. Dongguan Invotive Plastic Product Co., Ltd.
Sedex Audit silicone baby bib with custom printing 1)100% Food Grade Silicone Material,non-stick, flexible and easy to clean 2)OEM,factory direct sale with 10 years professional experience 3)Competitive prices with good quality and service 4) FDA, LFGB, SGS Approved 5) Custom size&shape&logo&package is avaliable 6) Temperature Range: -40&deg;C~230 &deg;C 7) Hardness: 20,30,40,50,60,70,80 shores or as your requirement Company Name Dongguan Invotive Plastic Products Co. ,LTD Product Name Sedex Audit silicone baby bib with custom printing Material 100% food grade silicone,eco-friendly,non-toxic,durable in use Certification FDA, LFGB, CE/EU, EEC, SVHC, ROHS and EN71(by SGS) Color/Size/Shape Hand shape,Customizedcolor/size is available for our engineers to design; Packing Details Customized,usually color card,color/PET box,then polybag and carton MOQ 2000 pieces Price Factory price direct sale: OEM/ODM Service Available Origin Guangdong,China(Mainland) Logo & Mold tooling 1) Logo: Embossed,Debossed ,Printing 2) Mold tooling time: In 15 days,ASAP 3) Mold tooling cost : Based on the final design Sample 1) Existing samples lead time: 2~5 days 2) Customized samples lead time: In 15 days,ASAP 3) Fee Charge only at cost, then will return after order Payment & Shipping Terms 1) Packing Details 50 PCS/master carton; 2) Port: Shenzhen 3) Payment terms : L/C; deposit, 70% before shipment) 4) Shipping terms: EXW,FOB, CIF, CNF 5) Lead time: 15~30 days, it will be adjusted according to the quantity Company Show Dear friends,pls contact me to know more about Sedex Audit silicone baby bib with custom printing and get sample in stock ! &radic; To facilitate the mother feeding, the liberation of both hands. &radic; Fresh navy style design , different models for male and female. or it is 15-20 days if the goods are not in stock, it is according to quantity. can be safely washed in the dishwasher or wiped clean. we are main in silicone kitchenwares , silicone dailyuse products ,silicone gifts and silicone electronic accessories etc. Easy to use take and store. 4). Easy to use and clean. 5). Keep your lovely baby neat and tidy. 6). Shipping : 1) By air or sea through your pointed forwarder is the normal way we do 2). 3. Fast & Cheap Delivery: We establish good business relation with express to provide customers' competitive freight charge. 5. Good Quality : Strict quality control system to get good reputation in the market. Shenzhen Hanchuan Industrial Co., Ltd.
* Close canvas upper part and lower part of the soft silicone,comfortable and easy to clean. * Soft material to make baby * Can be arbitrarily folded,easy to carry. Most of our in-house designed toys are made of the latest soft materials with soft touching and attractive designs. 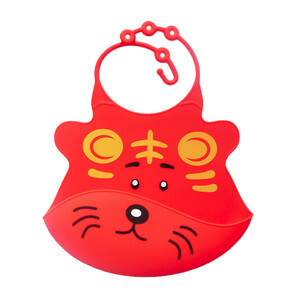 Alibaba.com offers 8,924 silicone baby bibs products. About 84% of these are baby bibs, 3% are other baby supplies & products, and 3% are feeding supplies. A wide variety of silicone baby bibs options are available to you, such as anti-bacterial, eco-friendly, and disposable. You can also choose from oem service, in-stock items. As well as from printed, plain dyed, and embroidered. And whether silicone baby bibs is silicone, polyester / cotton, or 100% polyester. There are 8,949 silicone baby bibs suppliers, mainly located in Asia. The top supplying countries are China (Mainland), Hong Kong, and Taiwan, which supply 99%, 1%, and 1% of silicone baby bibs respectively. Silicone baby bibs products are most popular in North America, Western Europe, and Domestic Market. You can ensure product safety by selecting from certified suppliers, including 2,866 with ISO9001, 1,118 with Other, and 808 with BSCI certification.